Fridays are fabulous for so many reasons, wouldn’t you agree? For most they mark the end of the work week and the start of the weekend, and that would include our hard-working military man, Byung Hee. I am sure he treasures the reprieve of those two wonderful weekend days so that he can rest, relax and nurture his creativity. Fridays are fun for me because they are fan-camming days here on the Countdown. Granted, I have slipped in many a cam throughout the weeks on days other than a Friday. It happens. Many of my sub-categories crossover into each other. In any event, it is another Fan-Camming Friday and for today a little Mona Lisa from a performance back in October 2012 at Gwangju Songwon University. Our sleepy-eyed main vocal was looking fine and handsome in the black and tan ensemble he wore on the stage that day. 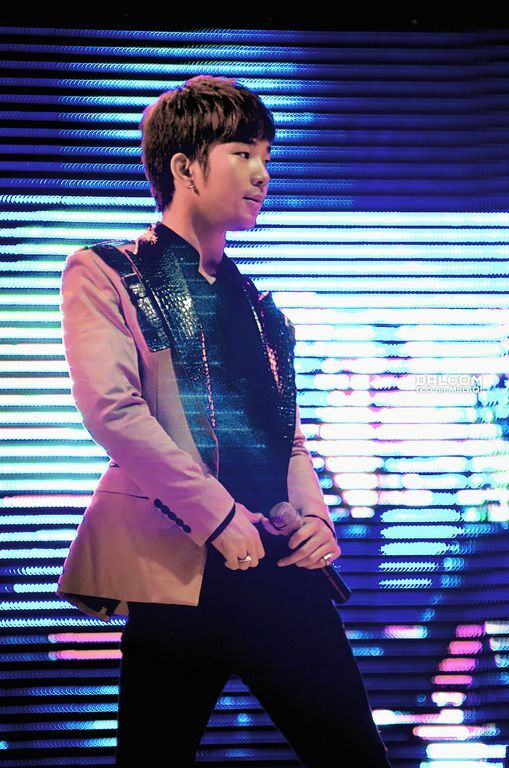 Really, G.O must be a tailor’s dream with those broad shoulders that always fill out a suit jacket so exquisitely well. It often amazes me how he moves so fluidly in whatever he wears. I would think that a suit jacket might be restrictive during aggressive choreography yet G.O never seems impeded by what he wears, moves very well, and always looks comfortable doing so. There is something so very seductive about seeing G.O dance the provocative choreography of Mona Lisa while wearing a suit jacket. I feel the same about 전쟁이야 [This Is War] and 남자답게 [Be A Man]. Must be the way the jacket swirls effortlessly around his hips. It is visually quite appealing. 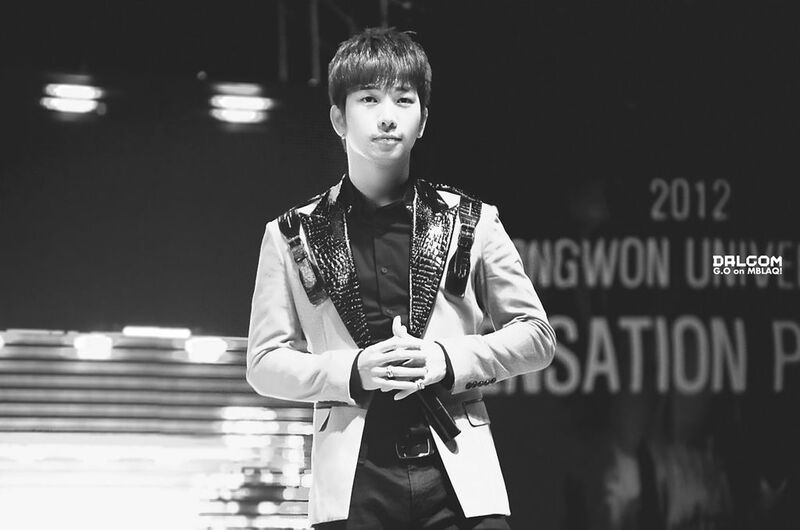 But really, Mona Lisa is all about G.O’s powerful vocals. I like this cam . . . a lot. G.O’s vocals are powerful indeed. Yet coupled with that is the longing and pleading in his voice when he sings, especially ~~~> 사랑해 사랑해 사랑한다, 태양보다 뜨겁게 원한다 [I love you, I love you, I love you. I want you more passionately than the sun]. Finally, the black & white film creates an even more mesmeric atmosphere. As if G.O needed any further assistance in the art of mesmerizing. No. G.O’s mesmerizing game is quite strong. 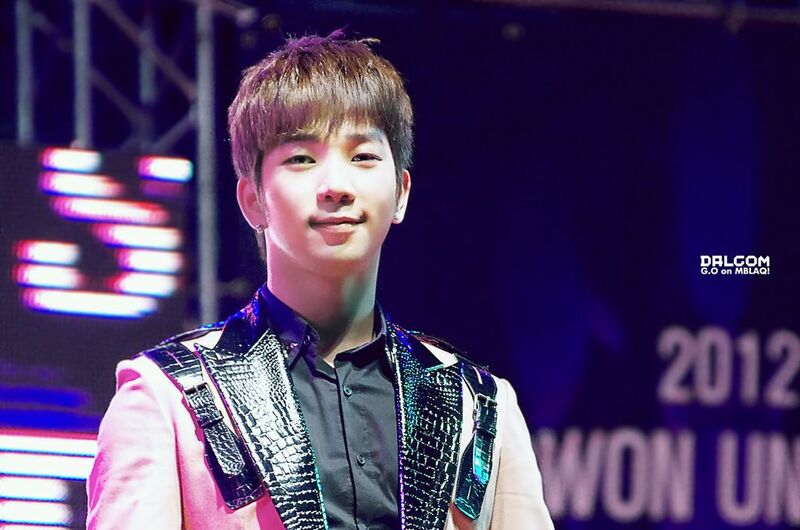 Categories: G.O Military Discharge, MBLAQ Musings, The G.O Files | Tags: G.O, G.O in concert, G.O Live On Stage, G.O on stage, G.O's Military Service, G.O's Style, Gwangju Songwon University, Jung Byung Hee, Jung Byung Hee images, MBLAQ G.O in concert, MBLAQ G.O Live in Concert, MBLAQ G.O Live on Stage, MBLAQ G.O Live Performance, MBLAQ G.O on Stage | Permalink.